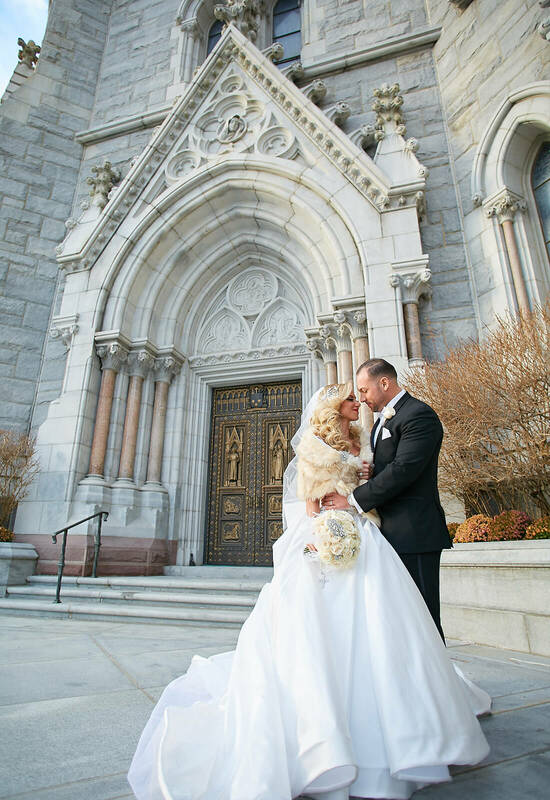 Wed on December 3, 2016, at The Cathedral Basilica of the Sacred Heart in Newark, NJ, Amanda married her true love, Joseph Palach. Amanda walked down the aisle in a floral embroidered ball gown reminiscent of the glamour and luxury of the roaring's. To find the perfect gown, everyone has to start somewhere. For Amanda the only place she wanted to go was the Pnina Tornai Boutique at Kleinfeld Bridal. A fan of Say Yes To The Dress, Amanda knew from the start that she wanted to be a Pnina Bride. With a gown in mind, Amanda headed off to the boutique in search of her dream gown. “It was the best day of my life! I wouldn't change a thing,” Amanda recalls. Even though the gown she wanted was no longer available, Amanda was able to work with one of her favorite SYTTD consultants, Dianne, to help her find a new gown. While walking around the boutique, Amanda spied a gown poking out from the racks. 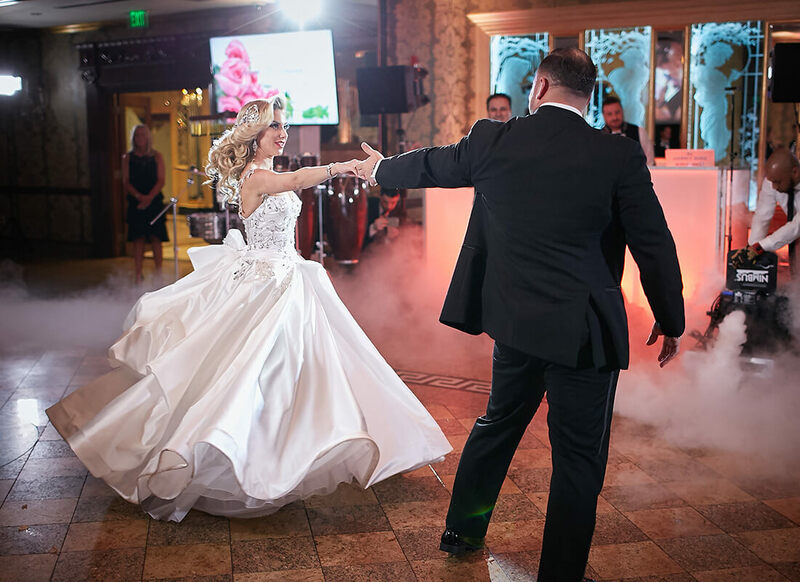 With a hoop in the skirt making the gown more voluminous than the rest, Amanda gravitated towards a Pnina Tornai floral embroidered strapless ball gown with a sweetheart neckline. After trying on a few other gowns, Amanda finally tried on the gown she just couldn't keep her eyes off of. The gown fit like a dream and to enhance the magical moment even more, who walks over but the designer herself – Pnina Tornai! 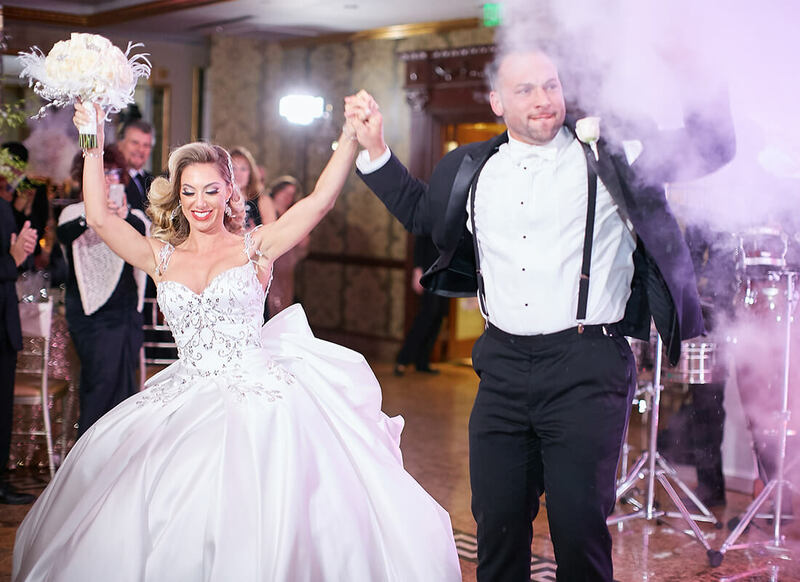 Crying a million tears of joy with Dianne on one side and Pnina Tornai on the other, Amanda said yes to her enchanting and vintage-inspired floral ball gown. 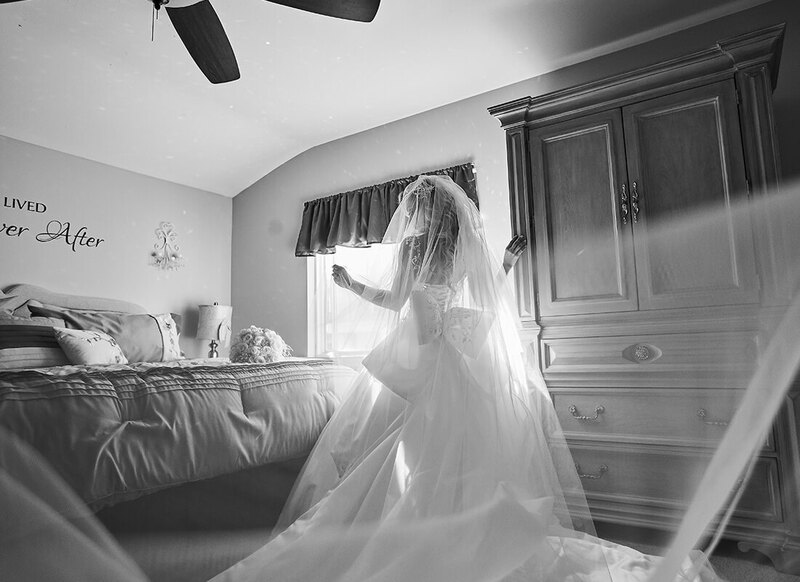 Wanting more custom touches to her gown, Amanda got the chance to do what only some brides dream of – design a custom gown with her favorite wedding gown designer! A few days after saying yes to her dress, Amanda went back to the Pnina Tornai Boutique to work with Pnina Tornai and the Pnina Tornai Boutique Manager, Ally. The three worked together and decided to add custom floral crystal straps to the gown that matched the embroidery on the ball gown. In addition, they added three sets of crystal stones, one on the train of the gown and one on each side of the bow on the back of the gown. 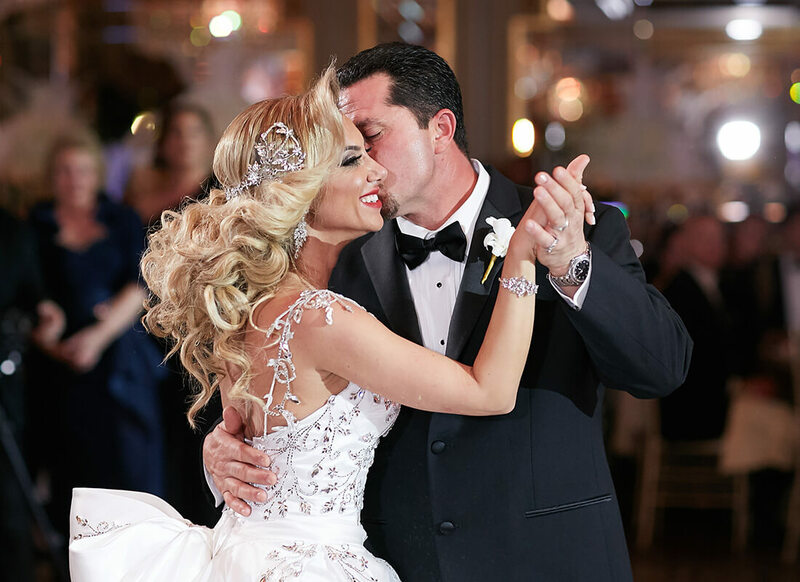 As for accessories, Amanda's consultant picked out a stunning Pnina Tornai floral headband that looked like a match made in heaven when paired with the gown. To complete the look, Amanda wanted to wear a veil as she walked down the aisle. 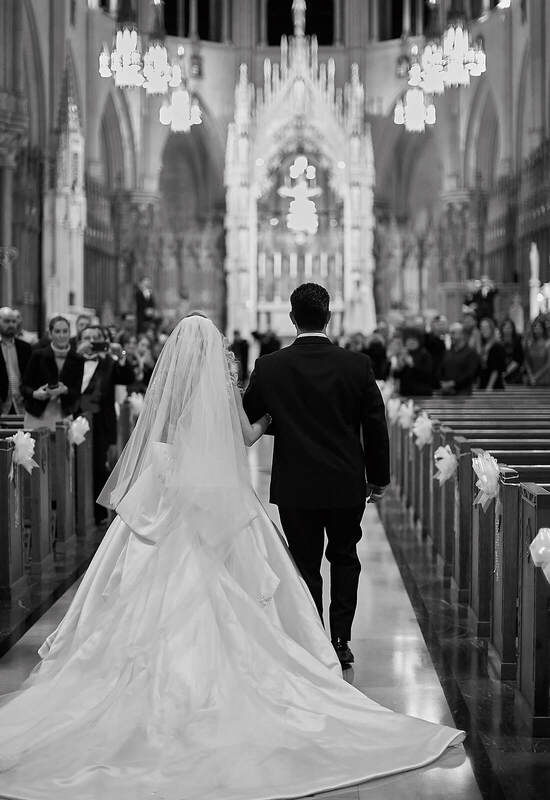 After looking at some veils but seeing none that fit her vision, Pnina Tornai asked Amanda exactly what she was looking for. Explaining that she was looking for a long dramatic veil with no beading and a lot of layers, Amanda was shocked and surprised when Pnina said that she would gift the bride-to- be the custom veil of her dreams! 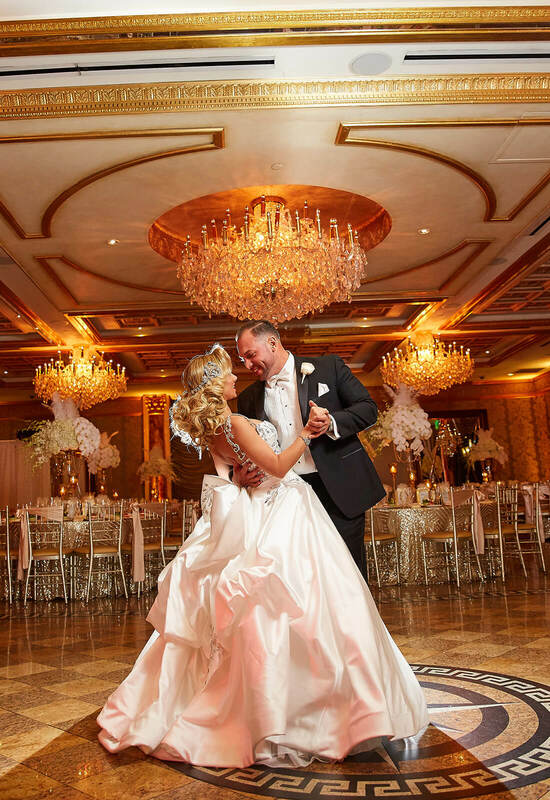 When all was said and done, Amanda was simply striking as she walked down the aisle in her custom ball gown with custom straps and ornate crystal embroidery, a floral headpiece, and a veil specially gifted from Pnina Tornai! “I was just so overcome with emotion,” explains Amanda. “The special touches that we put on the dress together – I loved it! 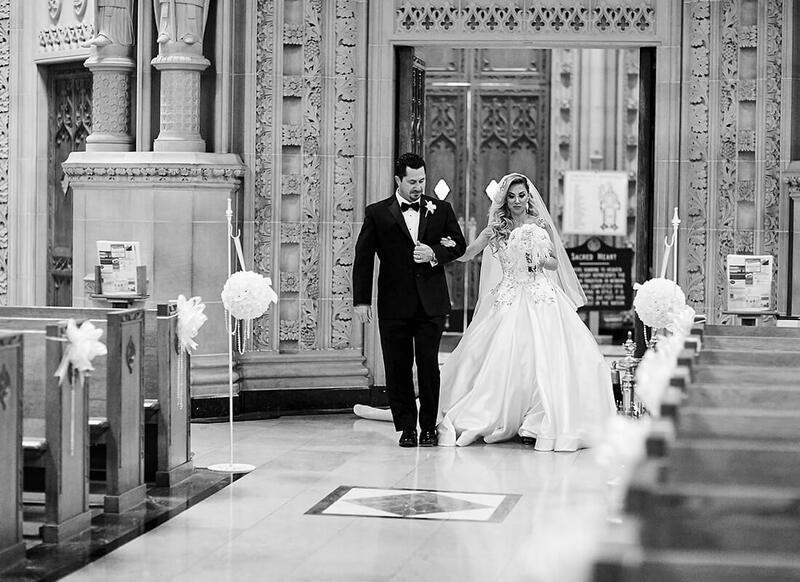 It was always my dream to wear a Pnina Tornai gown and to be wearing this gown and the gifted veil; it was a dream come true.” Having purchased the gown before making her other wedding arrangements, Amanda decided to tailor the wedding to fit the extravagance of the gown. Inspired by the lavishness of the gown and her love of the roaring's, Amanda's wedding evoked the luxury and grandeur of the time period. With a color palette of white, beige, and gold, the gown fit perfectly into the magnificence of the occasion. Looking even more glamorous than she had envisioned, Amanda embodied vintage royalty as she began her new life with her husband in impeccable style.